From birthdays and weddings to anniversaries and corporate events, special moments are worthy of unforgettable celebrations. 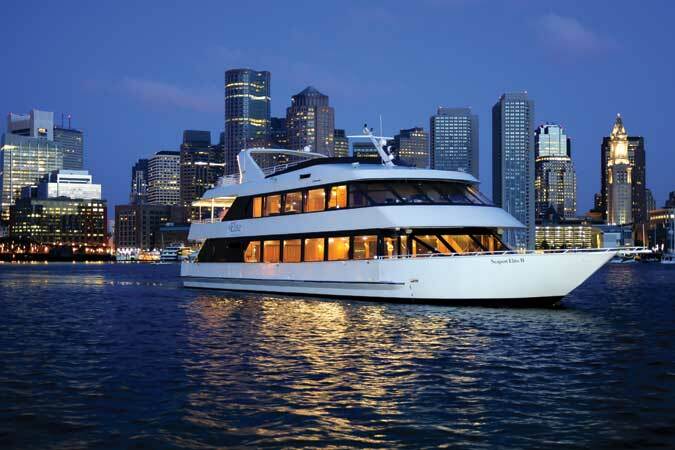 And with exclusive, chic venues in demand it seems more and more parties are setting sail from Boston Harbor on private yachts like the Seaport Elite. That’s because the Seaport Elite lets attendees experience the magic of the city from a unique vantage point aboard a prestigious, contemporary vessel. Enjoy stunning views, completely customizable amenities, party planning services and limitless dining options that’ll fill any crowd. We took a cruise to see why this private yacht is so special – and boy were we glad we didn’t miss the boat! The evening will never grow stale with ever-changing sights like these! 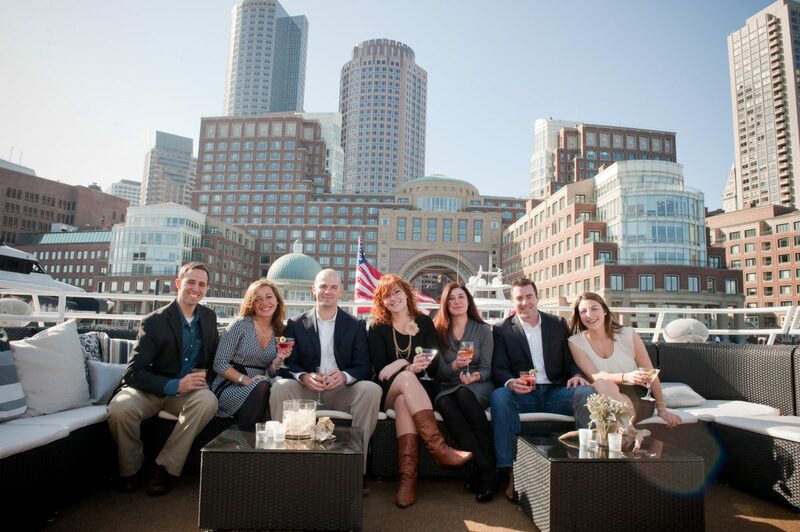 Captivate your party with impressive views of the Hub that can only be seen from the Seaport Elite. Admire different angles of the Boston skyline amidst gorgeous skies. Toast champagne and make memories as the sun sets on the harbor. Dine and laugh with family and friends while gliding along serene waters. Then, watch as urban buildings light up – just like you’ll be all evening – as they set the perfect backdrop that will change throughout the affair. Why spend time and money tracking down separate vendors for the event of your dreams? On the Seaport Elite everything’s accounted for, so you don’t have to run around town tackling cake orders and flowers yourself. Instead, you can let your hair down and relax. The cost of your trip around the harbor includes every detail imaginable. From background music and culinary delights to bar service, indoor and outdoor lounge and dining spaces, centerpieces and bridal suites ­– this elite crew’s got you covered so you’ll never lose your cool worrying something was forgot. Expert party planners help – so you don’t go overboard! If the long list of amenities that go into throwing a fantastic bash are getting you stressed, it’s time to relax! 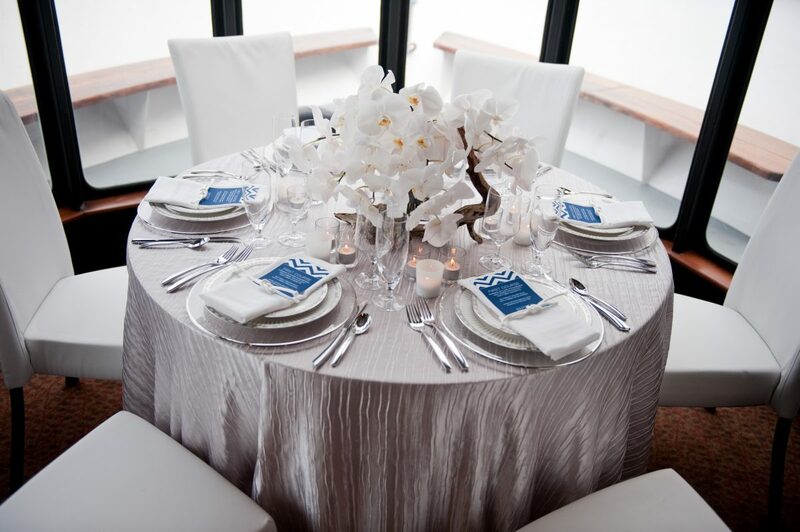 Throwing a celebration can be an overwhelming task, which is exactly why party planning is a full time job for the professional planners aboard the Seaport Elite – not you! De-stress as party specialists help create your special occasion from the most important details to the littlest touches based on your vision. You can feel confident that your party will go off without a hitch and that your planner will guide everything from logistics to décor, making the process more fun and enjoyable. The Seaport Elite offers the utmost in highly tailored services. And while amenities and professional planning specialists are included, the Seaport Elite crew truly deem you the captain of your memorable affair. That’s why they take their offerings a step further and allow hosts to customize the occasion to their liking. 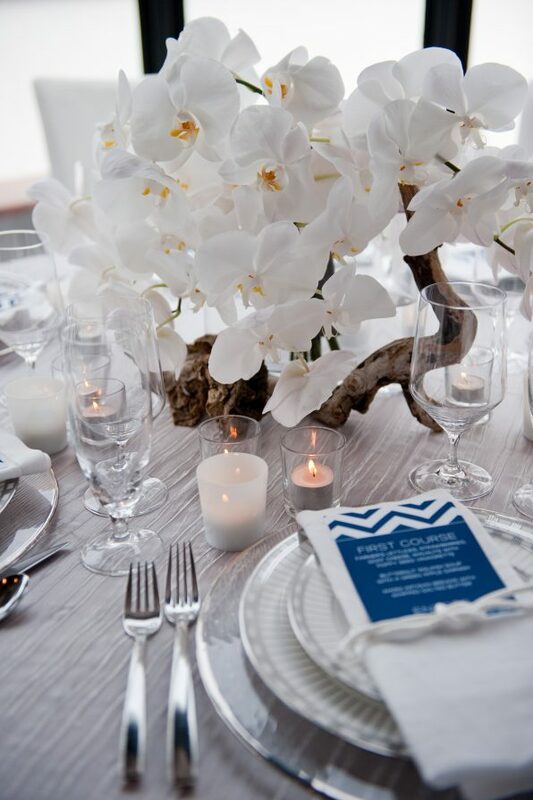 From determining the boarding and cruising times to enhancing the ambiance of the yacht with personalized décor or custom floral arrangements and hors d’oeuvres, options to steer the party in the right direction are always at your disposal. 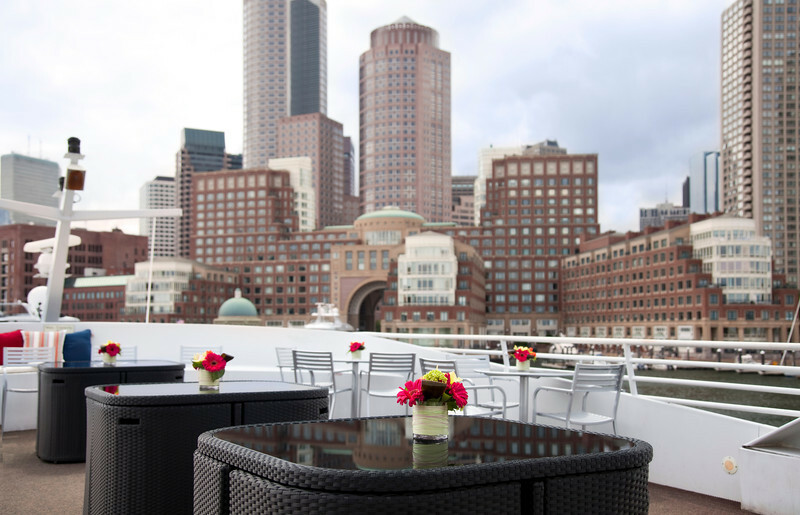 Feast on a variety of menu options that are graciously served in the Seaport Elite’s top-rate dining room or open air decks, complete with culinary and beverage options that will perfectly suit your group’s needs. Executive Chefs will prepare everything based on your tastes. Choose from several, freshly-prepared gourmet options including plated menus, buffets, food stations or appetizers. Plus, beverage options are available as well. Decide between beverage packages or cash bar service. Then, raise a glass to one of the finest dining experiences Boston has to offer! A cruise aboard a private yacht is in itself memorable. 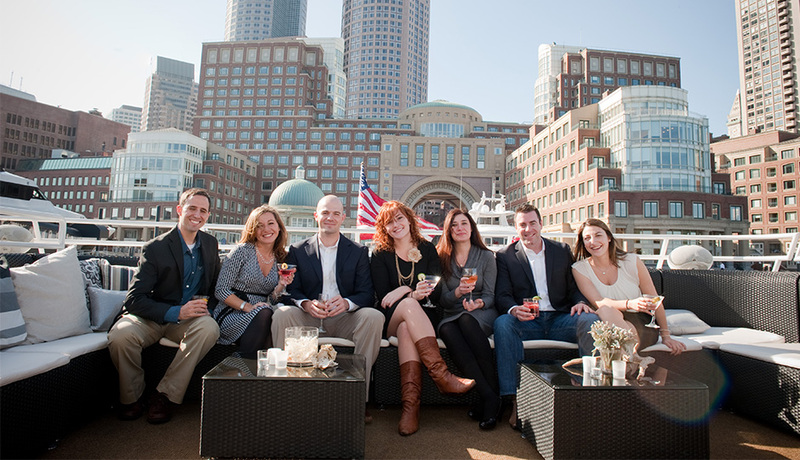 But for Boston residents and visitors alike, a party on the Seaport Elite offers a beautiful way to experience our incredible city in a completely different – and classy – way. You can ride the T or walk Newbury Street any day of the week. But a private cruise on the elegant Seaport Elite feels more like a once in a lifetime experience that’s worth remembering just as long. What’s your occasion? 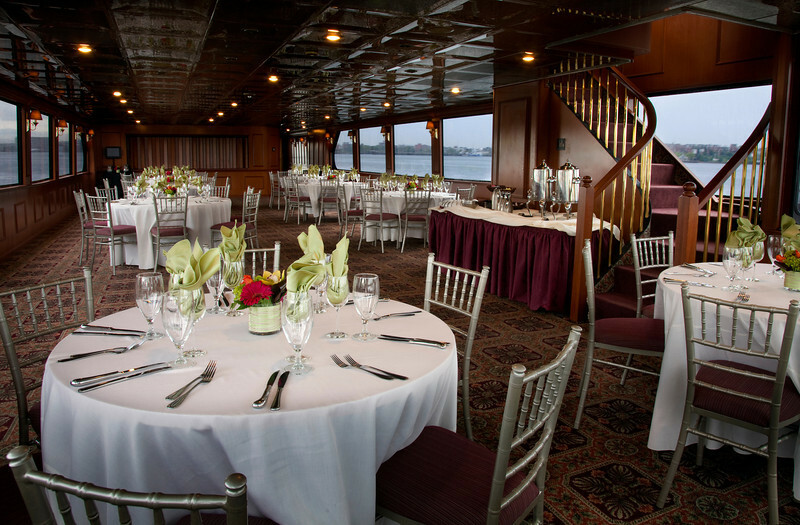 Do your party a favor and contact the Seaport Elite for a unique celebration they’ll always remember.